Apologies for the sporadic posting over the last year; rest assured we continue to do many (mostly) well-intentioned, (often) ill-advised things in the kitchen (and out of it). Today, however, I am delighted to share this guest-post from Salada. Her others (all advisable) can be found here, here and here. It has been a productive summer in the vegetable plot for members of the marrow-squash family, hence an autumnal recipe that doesn’t involve apples (contenders nonetheless). It comes from Patricia White’s “Food as Presents” (see Apple Muffins for details). Finding house-room for many squashes is exercising my ingenuity. I grew two types of winter squash and two sorts of courgette (yellow and green). 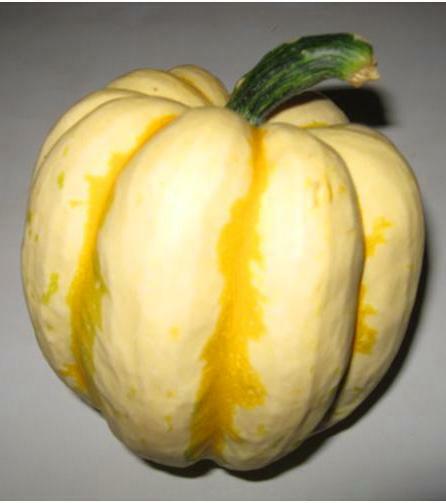 A squash weighing about 1.5kg, pictured, provided the main ingredient for the jam, augmented by a few courgettes. I have made this jam but not for several years, and remember it as being better than lemon curd – lighter to eat and much easier to cook, there being no chance of curdling eggs.